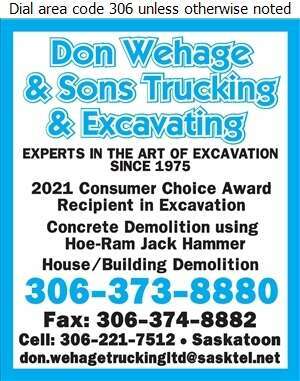 Wehage Don Trucking Ltd. is a Saskatoon based family owned and operated company. 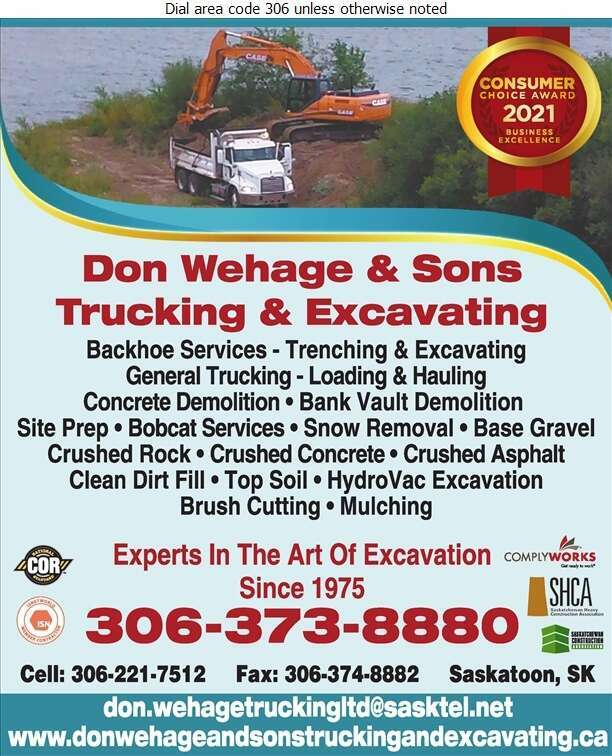 For over 40 years, the company has been providing general trucking, top soil and fill dirt hauling, and excavation services. Specializing in bank vault demolition, and concrete demolition and cutting, using a hoe-ram jack hammer. 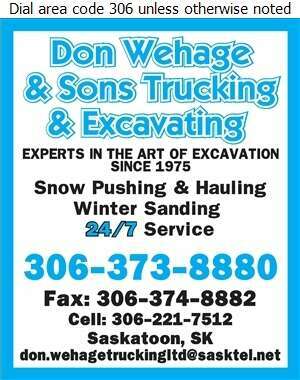 In winter months, snow removal and sanding are provided 24/7. Smiley's Crane Service also offers crane services, using boom trucks, jibs, man-baskets and spreader bars. If you are having storage issues, Smiley's Storage Solution Ltd. offers secure, forklift accessible and water & wind resistant portable storage rental and sales.